We create excellent web design & develop, ecommerce sites, mobile apps, graphic designs & much more. We Provide best Website Designing Services with quality and providing ideas to the clients. Range of creative solutions available for every Design need. We love design and our talented team is always ready to take on a challenge. 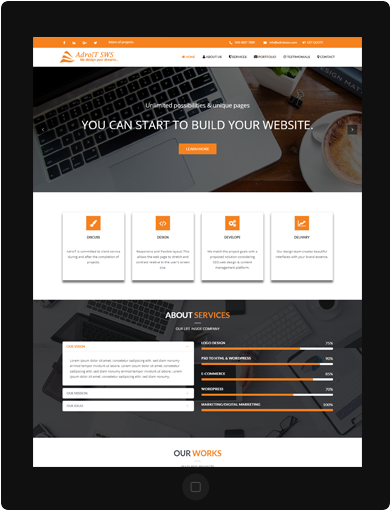 We offer you the best worked layouts in our showcase and we believe that should be enough to get you feel the quality and appearance of the layout and that help you to figure out the best way to arrange the content on your page. We are one of the website design companies in Punjagutta who have a team of experienced web designers.The best thing about this team is that they are open to ideas and endless possibilities for creating a site. We're all about collaboration, prefering to work with you, rather than for you. Our clients become part of the team. Our collaborative approach allows us to create immersive experiences, that engage the clients. Brief : Develop a thorough understanding of the project, audience, and objectives to formulate a digital strategy. Design : Craft a purposeful design to reflect the objectives and indicate the direction for the entire project. Implement: Bring the design to life in the form of an interactive and functional prototype. Review, refine and optimise. Develop : Incorporate implementation and technical components into a highly functional system, ready for review. Launch : Review, refine, test and prepare final product for delivery. Launch and continue to evolve over time. The time span it takes to make a completely practical site depends on a few elements. Custom design work can take anywhere from 1 - 4 weeks, depending on the complexity of the design and the number of revisions you require. The improvement stage requires an additional 1 - 6 weeks, depending upon the number of pages, and the usefulness required. Obviously, these are general rules, and we will make every effort to meet the timeframe you have in mind. We give as much scope as we can. After you've distinguished the general arrangement and color schemes of your preferred design, we'll finish up to 2 rounds of real updates at no charge. Every minor update are given at no charge. Designing And Development Services AdroitSWS.